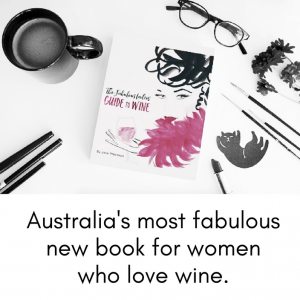 Kathy reckons that tagging around Adelaide – with small children in tow – peddling her wines to restaurants and bars in the early days of Paracombe Wines was just one of the secrets to her success. Now, with 33 years in the wine industry Kathy’s hard work has meant that Paracombe is reaching new heights, including recently having TWO wines selected for Qantas Business Class. This is her fabulous story. 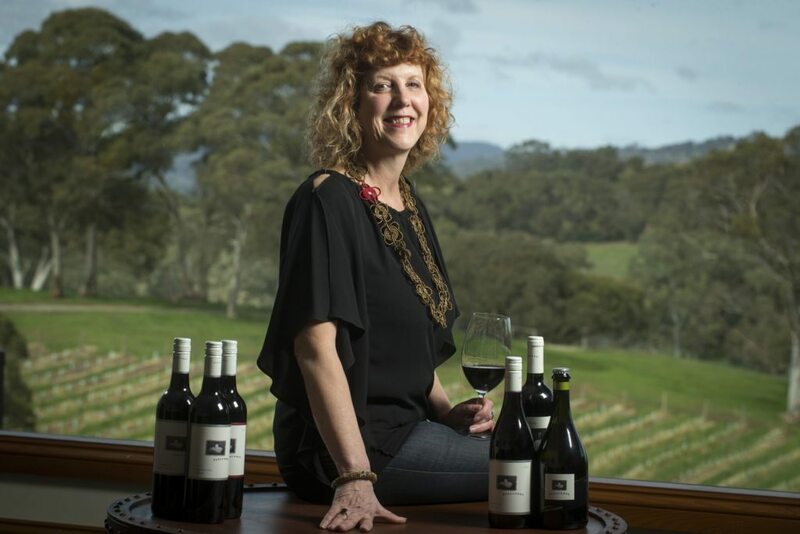 I started as a grape grower with my husband Paul in 1983, progressed to wine producer, owner/marketer in 1992 after founding and launching Paracombe Premium Wines in 1992 when I was 8 months pregnant with our second child, daughter Sarah. Our first release was 100 dozen of three wines, a Sauvignon Blanc, Chardonnay and Cabernet blend. I would drive around in my car with my young family in tow selling to Adelaide restaurants and bottle shops. It proved to be a very good sales strategy, hard to say no to a lady with babies. Why did I do it? It’s that spirit and drive within that took me to the edge of the cliff to take a risk and a leap of faith. I knew I would land somewhere and it would be extraordinary. Where has your career taken you so far? On an incredible journey to many great places and experiences. Today with 33 years in the wine industry. I have the privilege of doing a job I love, using my vision, passion and energy to market Paracombe Wines throughout Australia and the world. It’s amazing when I think about it. I travel overseas, selling promoting, storytelling. Highlights include presenting Paracombe Wines to guests the prestigious China Club in Hong Kong, receiving a trophy for our Sauvignon Blanc at Shanghai in China, recently getting two wines selected for business class travellers on Qantas. Paracombe Shiraz for International and Pinot Gris for domestic guests. WOW! There have been and will always be challenges, yet I have learnt so many skills… how to profitably run a business, manage people, to be ahead of the game, it is incredibly competitive in the wine industry. I know need to put in the hard yards, nothing good comes easy, but it is so worth it. I’m proud of the successful, world class, family winery Paracombe is today with second generation son Ben working in the business and our dynamic team sharing the passion for producing great wine. You started Paracombe Wines with your husband. Can you tell us the story of why, when and how this happened? Paul and I were newly married and bought a burnt out old dairy farm at Paracombe in the Adelaide Hills after the devastating Ash Wednesday bushfires in 1983. With no background or experience in grape growing or winemaking we planted a vineyard. We did some research and found there was a history of grape growing and winemaking in the district going back to mid 1800’s that had died out, we wanted to revive Paracombe’s reputation for fine wine production. We started making wine in a tin shed with a homemade basket press, secondhand milk tanks and crusher. Over the years we’ve expanded, built a new winery, underground cellars, cellar door and function facility, planted more vineyards. What is the philosophy behind Paracombe Wines? Family. We are family owned, our staff our part of our family, our customers feel that family connection. Ecologically sustainable and innovative – all vines are hand pruned, yields are kept low, we have a waste water treatment facility and use solar power technology. Every part of the production process from the vineyard, winemaking storage and distribution is done on site to maintain a soft footprint on the environment. Premium quality, being real, being consistent are all important parts of what Paracombe is all about. Sauvignon Blanc, Riesling, Pinot Gris, Chardonnay, Shiraz, Cabernet Sauvignon, Merlot, Malbec, Viognier, Tempranillo, Cabernet Franc and Pinot Noir. Significantly grapes are harvested from our own family vineyards at Paracombe, we source fruit from local growers. All grapes from the Adelaide Hills wine region. I am a pinot-phile, so I love, love, love our Pinot Noir. I am also very partial to our Chardonnay and single vineyard Cabernet Franc. But let me tell you about our Cabernet Sauvignon. I call it my ‘crap day wine’…when I’ve had a crap day, I pour myself a bath, hop in the bath with a glass of Paracombe Cab Sauv, and miraculously my day is sorted. As Owner, I am responsible for Paracombe Wines business management and sales. I sell to the South Australian wholesale market, dealing direct with restaurants, hotels, retail outlets and work with our interstate and overseas wine agency partners. My role includes public relations, marketing, social media and special event promotion. 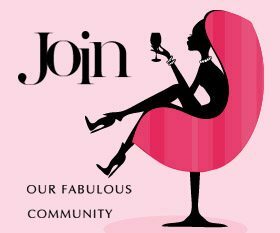 I spread the good news with wine awards and reviews, manage our website and content plus production of trade marketing and point of sale material. I have financial responsibility for running a cost effective and profitable business including liability, decision making and problem solving. I provide input to the winemaking team on blending and wine styles and use my creative influence on labelling and packaging. Staff management, employee obligations and welfare is important ensuring all our staff feel valued and important members of the Paracombe Wines family team. My days are varied and active. I spend dedicated days on the road selling and in meetings. Other days in the office with business and marketing work. Many times I will be presenting to a room full of diners or wine lovers promoting Paracombe. I will do all that it takes to ensure success for my business and my part in making the Australian wine industry great. My absolute favourite came as a surprise when I hosted a High Tea at our winery with the Country Women Association doing the catering. It was freshly baked scones with home made strawberry jam and our Paracombe Red Ruby, a dry style Malbec Tempranillo Rosé. It was completely divine. I would recommend with food and wine matching, for strong or rich food flavour pair it with a delicate, softer style to avoid a rude clash of flavour. One of my trade customers, a Bottleshop manager and a fine young man asked me to do a wine lunch for the Gentleman’s wine club members at his hotel. We worked together to put up a selection of Paracombe Wines to match a beautiful menu put up by the chef, the date locked in ready to go. He rang me extremely apologetic and embarrassed, the head wine club member had asked if my husband Paul could do the dinner instead of me as I was the ‘wife’ and not the appropriate person. Paul was going to be away overseas on holiday and no amount of explaining or reassuring of my abilities by the bottle shop manager would change the decision, we were dealing with an older very regimented mindset. The Paracombe Wine lunch was cancelled. I knew no good would come from me agonising over the situation. But karma is brilliant. Later that day I met with another very fine young man who is a hotel manager of one of Adelaide’s great hotels and he asked me to conduct a wine lunch that very same day the other event was scheduled. There was a brilliant cross section of guests, young, older, female and male. It was incredibly successful and fun day for us all. Yes, women are very sensory and it is to their advantage. They take wine less seriously and have fun with their wine experience by not stressing about a right or wrong answer with a wine description. I think that is great approach. And at the end of the day it boils down to the simple, either you like the wine or you don’t. Have an open mind and trust your senses. Swirl the wine to give the aromas a giddy up and then get your nose in the glass and take your time to smell. Think about what are you smelling, what does it remind you of, where does it take you? I find the aroma of wine one of the most pleasurable parts of enjoying wine. Then go on to taste the wine and see if the wine delivers on the palate. Enjoy wine and the whole experience it gives, it is not to be rushed, but savoured. Have fun trying different varieties or the same variety from different regions and see the variances climate, soil types, winemaking styles will present. Don’t let other people tell you your opinion about a wine or your interpretation is wrong. It is what it is, and it is yours to express.